Pregnancy, as a period of substantial biological and psychosocial change, can be expected to raise anxiety about the future. 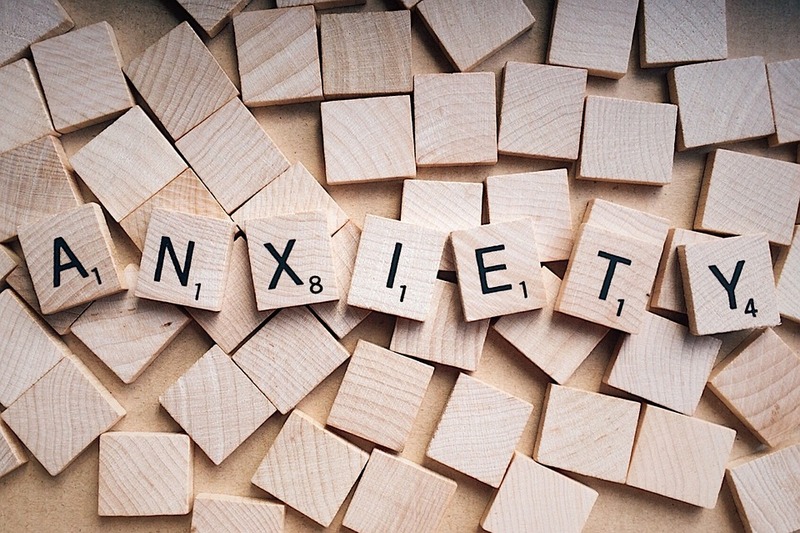 Anxiety is the psychological consequence of exposure to stressful circumstances that challenge one’s capacity to cope. Patterns of maternal anxiety may be adaptive or maladaptive from psychosocial and psychophysiological perspectives. Maladaptive psychosocial prenatal responses have been associated with post partal maternal adaptive difficulty, marital disturbance, and infant and childhood development problems. Psychophysiological responses to anxiety involve neuroendocrine pathways. The sympathetic autonomic nervous system, through catecholamine release, may alter uterine contractile activity in pregnancy and labor and, by arterial vasoconstriction, may restrict uteroplacental perfusion and fetal growth. Also, the hypothalamic-pituitary-adrenal (HPA) axis and corticotropin-releasing hormone production during pregnancy may control the timing of birth and influence preterm birth. Adrenocorticotropic hormone also is a sensitive indicator of maternal psychological stress. Another HPA axis pathway may alter immune system response, rendering the expectant mother less resistant to infection. While such disregulation is associated with maladaptive responses, other factors can modify stress responses. The magnitude and duration of the stressor, the timing of a critical event, the genetic vulnerability of the mother and fetus, and social environment factors, may foster homeostasis and offset disregulation. Acceptance of Pregnancy: Planning and wanting the pregnancy, happiness, tolerance of discomforts, ambivalence. Identification with a Motherhood Role: Motivation and preparation for motherhood. Relationship to Mother: Availability of the gravida’s mother, her (mother’s) reactions to the pregnancy, respect for the gravida’s autonomy, willingness to reminisce; the gravida’s empathy with the mother. Relationship to Husband/Partner: Mutual concern for each other’s needs as expectant parents; effect of pregnancy on the relationship. Preparation for Labor: Practical steps; maternal thought processes. Fears Pertaining to Pain, Helplessness, and Loss of Control in Labor: Stress, pain, self- estimated coping ability. Concern about Well-Being of Self and Infant in Labor: Regarding deviations from the norm. These seven dimensions are measurable using questionnaire and interview instruments, both showing high reliabilities for each dimension. Significant differences have been found in the outcomes of pregnancy for women experiencing high prenatal-state anxiety and psychosocial or developmental conflict. In several studies (summarized in Lederman, 1995a, 1995b, 1996), the personality dimensions on adaptation to pregnancy showed that higher maternal anxiety in pregnancy and labor were correlated with higher plasma catecholamines during labor, decreased uterine contractility, fetal heart rate deceleration, and prolonged labor. Recently, results of another study (Lederman, Weis, Brandon, & Mian, 2002) showed that anxiety, as measured by the different personality dimensions, predicted length of gestation (preterm labor),gestational age at first prenatal visit, and antepartal and labor complications. Of particular interest were findings that none of the demographic dimensions, such as age, education, and income, when entered into a multiple regression analysis with the personality dimensions, retained predictive significance. These novel results build on earlier findings, suggesting that the mother’s psychosocial history and her perception of the meaning, challenges, and expectations of pregnancy are of paramount importance in the adaptation to pregnancy, and they carry greater weight than demographic factors in predicting birth outcomes. Although they are conceptually and clinically related, research results suggested a distinction may be warranted between preterm delivery and newborn birthweight. Significant relationships have been reported be-tween life-event stress and infant birthweight, and between a measure of pregnancy-related anxiety (adapted from Lederman’s dimension measures, 1996) and gestational age at birth; both results occurred independent of subjects’ biomedical risk (Wadwha, Sandman, Porto, Dunkel-Schetter, &Garite, 1993). Socially stressful factors, such as single marital status, little contact with neighbors (Peacock, Bland, & Anderson, 1995), not cohabitating with a partner or having a confidante, and highly stressful major life events (Nordentoftet al., 1996), have been associated with preterm delivery. Paarlberg, Vingerhoets, Pass-chier, Dekker, and van Geijn (1995) likewise concluded that the most consistent finding in the literature was the relationship between preterm birth and taxing situations. Low birthweight appears to have a greater association with altered biophysical states. Smoking, hypertension, prenatal hospitalization, and prior preterm birth have been associated with low birthweight (Orr et al., 1996). Paarlberg and colleagues (1999) found that first-trimester smoking and maternal height, weight, and educational level were significant risk factors for low birthweight. M. S. Kramer (1998) found that the strongest predictors of intrauterine growth restriction were smoking and low gestational weight gain. Thus, prior studies suggested that maternal anxiety (pregnancy-specific anxiety, psychosocial adaptive anxiety, and major life-event stress) and maternal coping responses have more associations with preterm labor, whereas chronic stress, smoking, and other physical factors (height, weight, hypertension) may be more consistently related to infants that have restricted growth in utero or are low birthweight. The aggregate of findings suggest different modes of preventive intervention for the two disorders. Decisions regarding wantedness and acceptance of pregnancy remain relatively stable or constant throughout pregnancy (Lederman, 1996). Not wanting pregnancy is associated with inadequate maternal prenatal care (Albrecht, Miller, & Clarke, 1994) and physical violence (Gazmararian et al., 1995). Women who report an unwanted pregnancy were more likely to have lower birthweight newborns, higher infant mortality rates (Myhrman, 1988), a more than twofold-increased risk of neonatal death (Bustan & Coker, 1994), and children who later developed psychopathology (Ward, 1991). Studies of motherhood role identification indicate that maternal attachment and parenting confidence showed consistent and stable responses across prenatal and postpartum periods (Deutsch, Ruble, Fleming, Brooks-Gunn, & Stangor, 1988; Fonagy, Steele, & Steele, 1991; Lederman, 1996). Deutsch and colleagues also found that the woman’s relationship with her mother during pregnancy strongly correlated with self-definition of her maternal role. Kin relationships of the gravida with her husband/partner and mother have relationships to pregnancy outcomes. A lack of social stability, social participation, and emotional and instrumental support increased the mother’s likelihood of giving birth to a small-for-gestational-age infant (Dejin-Karlsson et al., 2000). As in the study by Lederman and colleagues (2002), these results occurred independent of background, lifestyle, and biological risk factors, attesting to the significance of kin relationships, particularly the husband/partner relationship. Lederman (1996) re-ported high intercorrelations among the developmental dimensions in all trimesters, indicating that early anxiety measures were stable predictors of later anxiety. This suggested that prenatal assessment can identify women who would benefit from early counseling. Socially supportive community intervention during pregnancy may have near-term and long-term beneficial effects for mother and child. A registered nurse home visit pro-gram for African-American gravidas with inadequate social support substantially reduced low birthweight (Norbeck, DeJoseph, & Smith, 1996). Pregnant women who received social support from midwives had fewer low birthweight infants, and at a 7-year follow-up still showed significant benefits for mothers and children (Oakley, Hickey, Rajan, &Rigby, 1996). Another supportive prenatal nurse home-visitation program (Olds et al.,1998) yielded beneficial maternal-child results as much as 15 years later, including improvement in women’s health behaviors and the quality of child caregiving. In summary, maternal anxiety and specific prenatal personality dimensions, operating through neuroendocrine pathways, influence maternal and fetal/newborn birth outcomes as well as longer-term outcomes. Many adverse outcomes may be modified or prevented by supportive prenatal nurse-visitation programs.